HI TIM AND THANKS FOR TAKING THE TIME ANSWERING SOME QUESTIONS. PLEASE INTRODUCE YOURSELF TO OUR READERS. 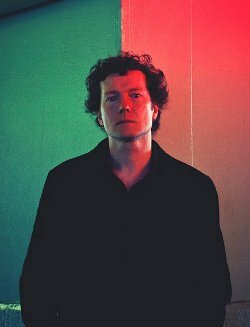 Hi, I’m TIM BOWNESS. I’m probably best known for working in the band NO-MAN with Steven Wilson. I’ve also worked with artists such as OSI, Robert Fripp, and WHITE WILLOW, and I co-run the online music company Burning Shed. YOUR PREVIOUS ALBUM WAS RELEASED IN 2001. IT’S TAKEN 12 YEARS FOR A NEW ONE. WHY DID IT TAKE SO LONG? My last solo album “My Hotel Year” was actually released in 2004. Over the last decade, amongst other things, I’ve released albums with the bands HENRY FOOL AND MEMORIES OF MACHINES, co-produced and co-written an album with ex-FAIRPORT CONVENTION singer Judy Dyble, and released the NO-MAN album “Schoolyard Ghosts”. WHAT TEND TO BE THE BIGGEST CHALLENGES YOU FACE DURING THIS PROCESS? Pleasing myself is always the greatest challenge when making any album. The truth is, as it always was, some things seem right in an instant, such as “Wherever There Is Light,” “Smiler At 52,” “Back When You Were Beautiful,” “Dancing For You,” and “Things Change.” Others seemingly take an eternity to become what I want them to be, such as “Beaten By Love,” “Truenorth,” “The Warm-Up Man Forever,” “Lighthouse,” and “Angel Gets Caught.” HOW DOES “ABANDONED DANCEHALL DREAMS” REFLECT YOUR JOURNEY AS A MUSICIAN TO DATE? For me, “Abandoned Dancehall Dreams” is true to the spirit of the music I’ve made before and faithful to my interests and influences, but I hope that it also points to something fresh and has an element of surprise in it. I hope it’s an honest summation of what I do, while possessing a level of overall competence that was lacking previously. WHAT EVOLUTION DO YOU FEEL YOU’VE EXPERIENCED IN THE INTERVENING YEARS? I’d like to think I’ve got closer to my real self and that my music has become more natural and less affected. HOW DID THE CREATIVE PROCESS CHANGE BETWEEN THE LAST ALBUM AND THE NEW ONE? In terms of “My Hotel Year” and “Abandoned Dancehall Dreams” – my two solo albums, the process was dramatically different. “My Hotel Year” was created as a way of tying various incomplete projects together. I’d been co-writing with several people and each collaboration had produced 2 or 3 songs, so the album collected what I thought were the best of these collaborations. “Abandoned Dancehall Dreams”, on the other hand, was conceived as a coherent album from the beginning and had a loose linking theme. I also wrote a lot more of the songs purely by myself, so it was much more of a solo effort. THERE IS SOME BITTER HUMOUR TO BE FOUND IN THEM, WHAT DO YOUR LYRICS HAVE IN COMMON WITH THE NOTORIOUS SUBDUED ENGLISH HUMOUR? There’s a dark humour running through some of my lyrics (certainly not all), and perhaps that is a result of my Northern English upbringing. The likes of 10CC, ECHO AND THE BUNNYMEN and MORRISSEY come from the same region as I do and there’s a vein of sarcasm in all of those artist’s work. FOR NEW LISTENERS, WHICH ALBUM AND WHICH SONG WOULD YOU RECOMMEND THEY CHECK OUT FIRST? Although there are linking themes and styles, the albums I’ve been involved in have all been pretty diverse. “Wild Opera” was quite manic and gritty, “Returning Jesus” was textured and epic, while “Flowermouth” had strong Pop and electronic elements. “Together We’re Stranger” is NO-MAN’s most atmospheric album and has a real consistency that perhaps makes it the favourite release I’ve been involved in making. “Returning Jesus”, “Abandoned Dancehall Dreams” and “California, Norfolk”, I’d also count amongst my favourites. THE ALBUM IS VERY ATMOSPHERIC AND AT TIMES CLAUSTROPHOBIC, WHAT WERE YOUR INSPIRATIONS AND INFLUENCES BEFORE AND DURING ITS CREATION? DO YOU NORMALLY COMPOSE AT HOME OR DOES JAMMING HELP YOU WORK OUT MUSICAL IDEAS? I use any method that works. I compose at home on guitar, keyboard and samples, and I co-write with musicians either using the studio, or improvising/jamming in rehearsal rooms. The end result is what matters. THE CD EDITION OF THE ALBUM COMES WITH A SECOND DISC FEATURING OUTTAKES AND EXCLUSIVE MIXES. CAN YOU GIVE US A BIT OF DETAIL OF WHAT PEOPLE CAN EXPECT TO HEAR ON THIS DISC PLEASE? Three very different mixes, two outtakes and three works in progress. I guess people will hear more of ‘the process’ and get a clearer idea of what’s important or not important to the main album. IS TOURING FOR YOU SOMETHING YOU LIKE OR ARE YOU MORE A STUDIO PERSON? I like both. Creating music is perhaps my favourite activity, though the intensity and feedback that can be generated through live performances can also be very energising and inspiring. WHO CAN YOU CITE AS YOUR MAIN MUSICAL INFLUENCES? I’ve got eclectic tastes and I love anything from Art Rock to Post-Punk, Progressive Rock to Classical, Jazz to Ambient/ Electronica, Singer-Songwriters to Indie music. When I started, my early influences included KATE BUSH, PINK FLOYD, JONI MITCHELL, MILES DAVIS, STEVE REICH, PETER GABRIEL/GENESIS, DAVID BOWIE, ROBERT FRIPP/ KING CRIMSON, NICK DRAKE, BRIAN ENO, NICK DRAKE, VELVET UNDERGROUND, PETER HAMMILL/VAN DER GRAAF GENERATOR and lots more. I also liked some specifically 1980s artists such as PREFAB SPROUT, TALK TALK, XTC, JAPAN AND THE BLUE NILE. IF YOU COULD GATHER ANY MUSICIANS OR MUSICAL GROUPS TO COLLABORATE WITH WHOM WOULD THAT BE? Too many to mention! Steve Reich, Philip Glass, Brian Eno, Kate Bush, Peter Gabriel, Steven Drozd from THE FLAMING LIPS, Portico Quartet, Steve Hackett and many others. AFTER DECADES OF MAKING MUSIC, HOW DO YOU AVOID RECYCLING IDEAS? Sometimes recycling can be good. There are certain strands of my singing and writing that appear every so often and each time they re-appear they’re different. I see “Outside The Machine,” “Chelsea Cap,” “Criminal Caught In The Crime,” and “Dancing For You” as coming from the same inspirational source, yet I feel they’re not particularly alike. Ditto “Together We’re Stranger” and “Songs Of Distant Summer.” The same feel, chord and melodic preferences can be in a constant state of flux as I think we’re always in the process of changing in terms of both personal experiences and listening. As Beckett’s Krapp’s “Last Tape” suggests, we may hold on to core characteristics, but we’re also always in the process of becoming someone different. The yardstick is always whether I feel moved or interested by what I’ve come up with. Sometimes things just seem flat and uninspired. Sometimes things seem overwritten and overworked. In both cases, those things remain unheard. WHAT DID IT MEAN FOR YOU TO RECENTLY TURN 50, BOTH PERSONALLY AND PROFESSIONALLY AS A MUSICIAN WITH A MULTI-DECADE CAREER BEHIND YOU? Truthfully, although I’m aware of and interested in other artists’ highly-varied careers, I’d never considered my own until NO-MAN toured in 2008. When people came up to me with albums like “Flowermouth”, “Henry Fool” and “California, Norfolk” to autograph, I realized that I’d been at it a bloody long time and it seemed I’d had a career. I still approach everything as if it’s the first thing I’ve ever done. My music’s always pursued in the present. If I ever repeat myself it’s because I’ve forgotten what I’ve done, not because I’m consciously re-creating anything. I didn’t think hitting 50 would bother me, but it did a bit. I’ve blissfully ignored aspects of aging, but hitting that milestone made me all too aware of the limited time I have left. I’ve been aware of mortality and the fragility of life since I was very young, but realizing I really was 50 provided a focus for certain neuroses. It’s extremely mild, but as Antonia Fraser might say, “The Great Fear” lingers longer than it did a year ago. I think having a young child intensifies those fears. THERE WAS A VERY SPECIAL ONE-OFF COLLABORATION WITH THE LEGENDARY RICHARD BARBIERI, “FLAME”. IS THERE ANY PLAN OR WISH OF FURTHER RECORDING WITH RICHARD? Not at the moment, though I’d certainly be interested in working with Richard again. He did contribute a very nice mix to the bonus disc for “Abandoned Dancehall Dreams”. WHAT DOES THE FUTURE HOLD FOR NO-MAN IN TERMS OF FUTURE STUDIO ALBUMS? Hopefully, there will be another studio album from NO-MAN. I still regularly talk to Steven and the future of NO-MAN is often discussed. The band toured in 2012 and it’s something that still means a lot to both of us. WHAT MUSIC ARE YOU CURRENTLY LISTENING TO? I’ve liked a lot of music released over the last few years. THE FLAMING LIPS, SUN KIL MOON, PETER HAMMILL, KATE BUSH, BRIAN ENO and MARK EITZEL are still producing great work. This year, the Indie bands WAR ON DRUGS and WARPAINT have produced interesting work and UK Prog band IQ released one of its best albums. I also like a US band called THE KNELLS, who are making some excellent music that effortlessly fuses several genres in a genuinely progressive way. THANKS FOR TAKING YOUR TIME FOR THIS INTERVIEW AND GOOD LUCK FOR THE FUTURE! My pleasure.